Group Size: Recommended for groups of 8 – 500 players. Teams of 4-8 players. Our most popular offering! Click image for video. On TV they call it “Minute To Win It,” but our lawyers have recommended we call it “60 Seconds To Do Good.” You’ll call it a gut-busting whirlwind of stunts that will test your balance, steady hands, speed, dexterity, and smarts. 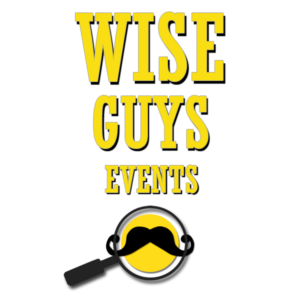 Wise Guys keeps teams moving through the challenge course, squaring off against an opposing team at every station: you’ll never play the same stunt or the same opponent twice. Diversity of skills and competitors means maximum team building experience, and teams who make sure everyone gets a turn earn bonus points. It’s always your turn to play in this deceptively devious gauntlet of cunning games made of household items. The games last a minute, but the memories last a lifetime. Click here for a quote.